Hello Sahabat Jajan!! How was your weekend?? 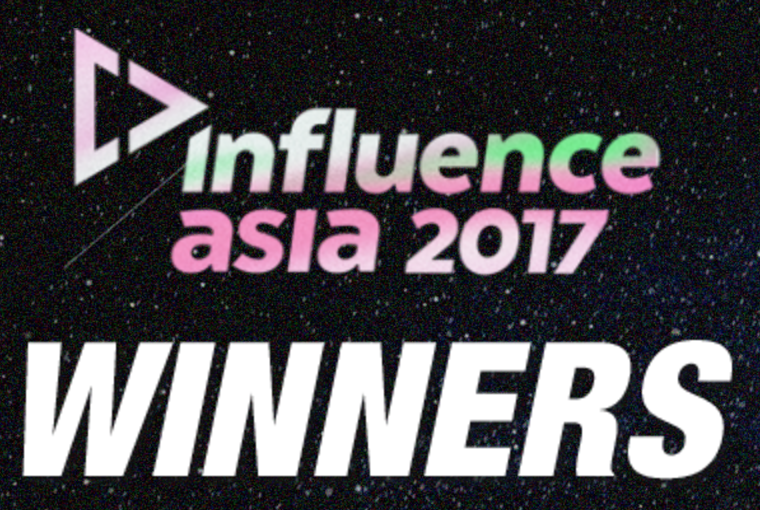 Well AnakJajan had a blast! 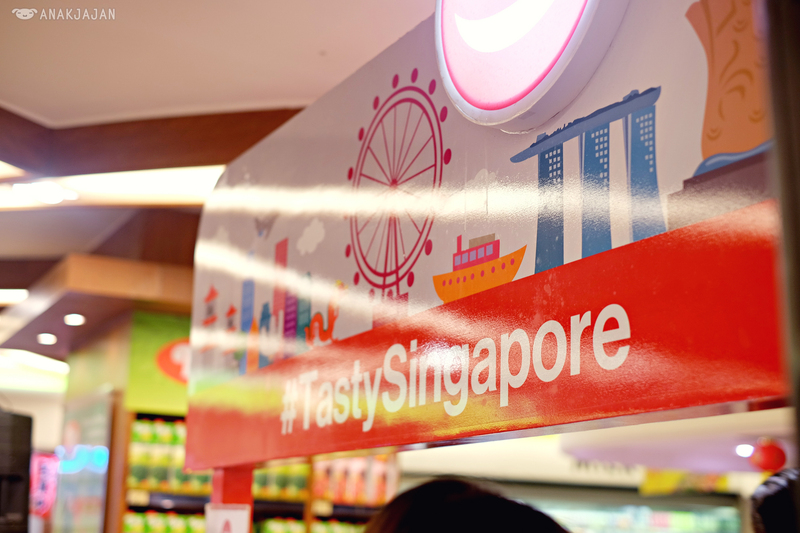 We learnt how to cook 2 yummy dishes from Chef Chandra at the launch of the Tasty Singapore Food Aisle. 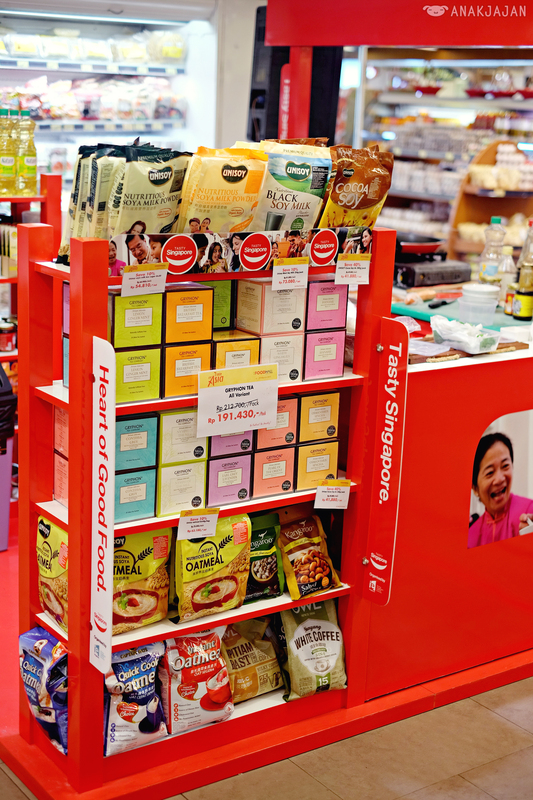 If you like Singapore food, here’s your chance to grab some Singapore food products from the Tasty Singapore Food Aisle at Plaza Senayan, Senayan City and Grand Indonesia! 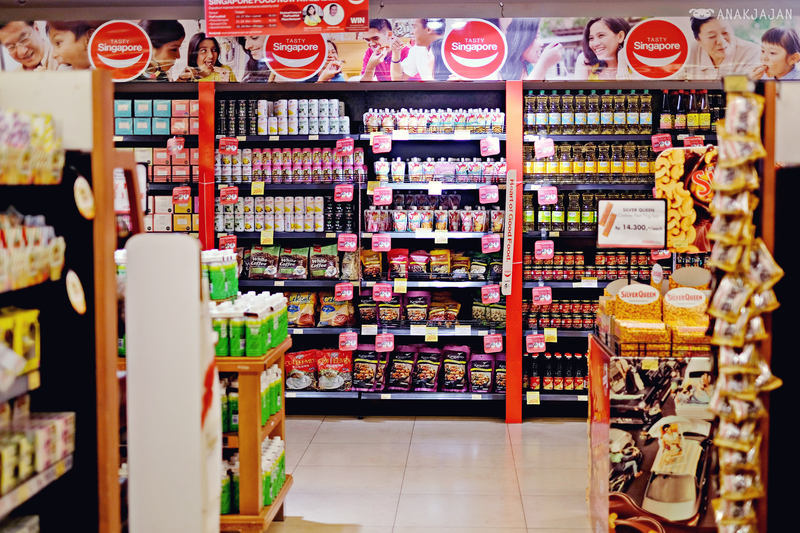 The 3 dedicated food aisles feature more than 100 food products from Singapore that are high quality, healthy, easy to cook and suitable for pairing with our local Indonesian cuisines! 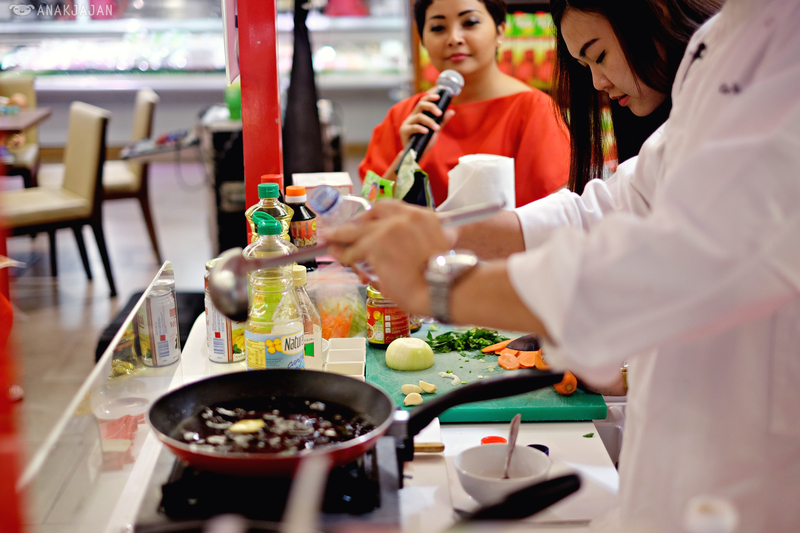 I will share with you what I learnt to cook from Chef Chandra in a moment. 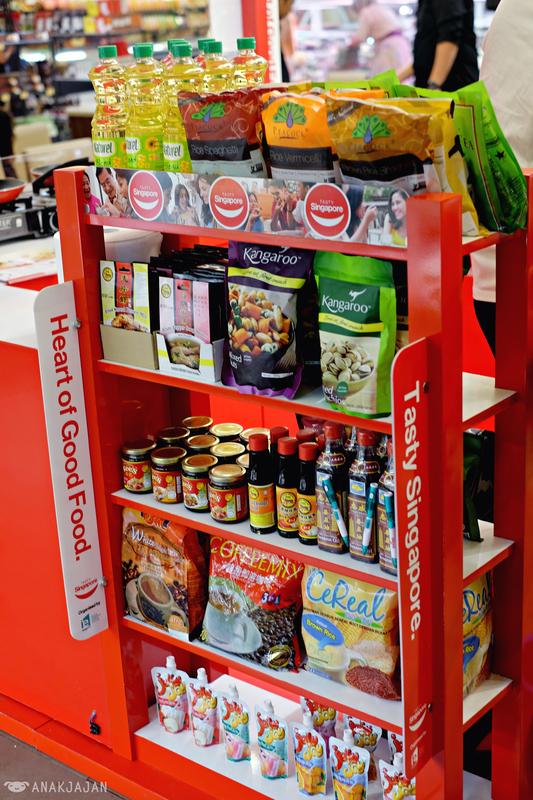 Look at all these products, all specially selected from 14 Singapore companies, with high quality and safety standards. 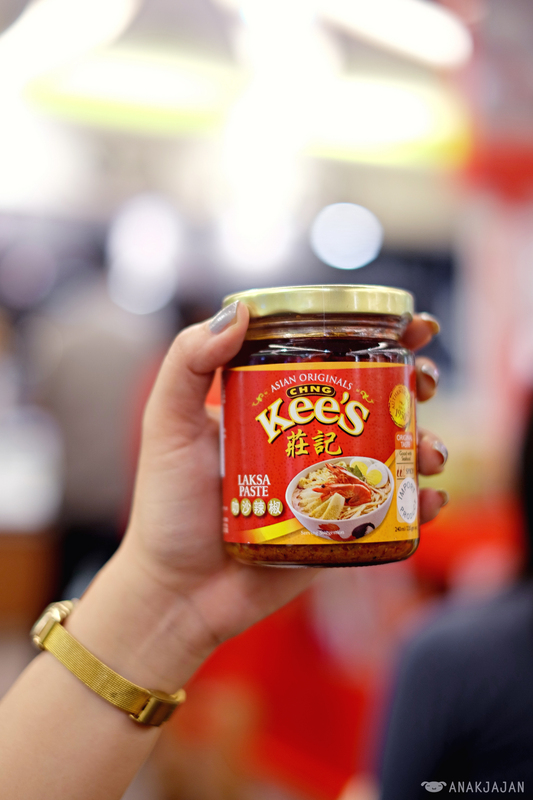 There are all kinds of products such as cooking sauce, cooking oil, snacks, peanuts, beverage, noodle, tea, seasoning, etc. 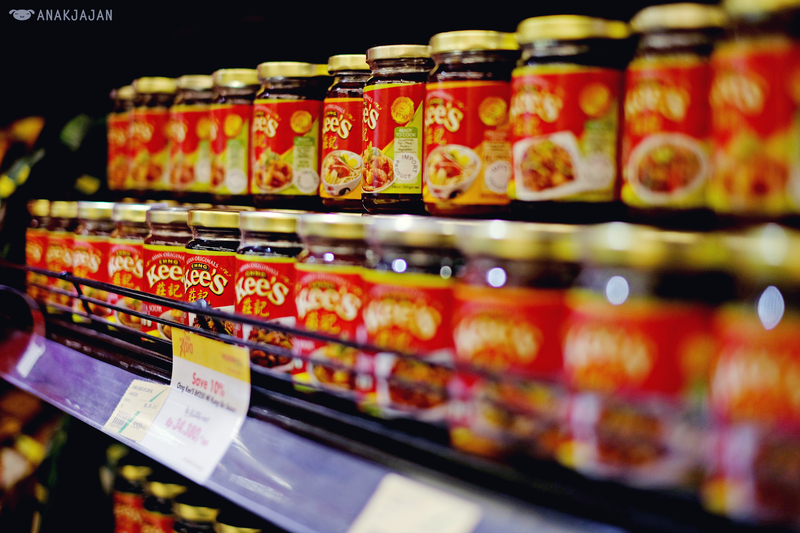 Anything you need to cook up a special meal for your loved ones. 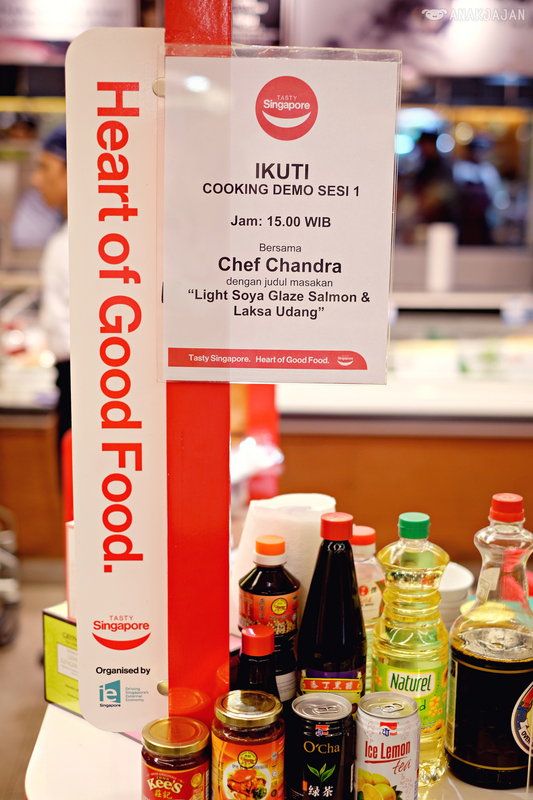 From Chef Chandra, I also learnt that these products are healthy, easy to cook and great for cooking any dish including Indonesian food. 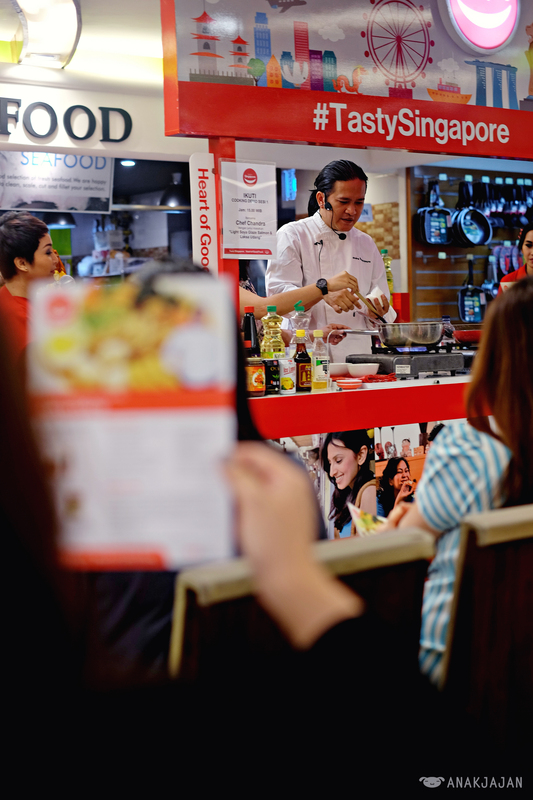 Anakjajan was really excited to learn from Chef Chandra, we learnt how to cook Light Soya Glazed Salmon and Prawn Laksa using the Tasty Singapore products. 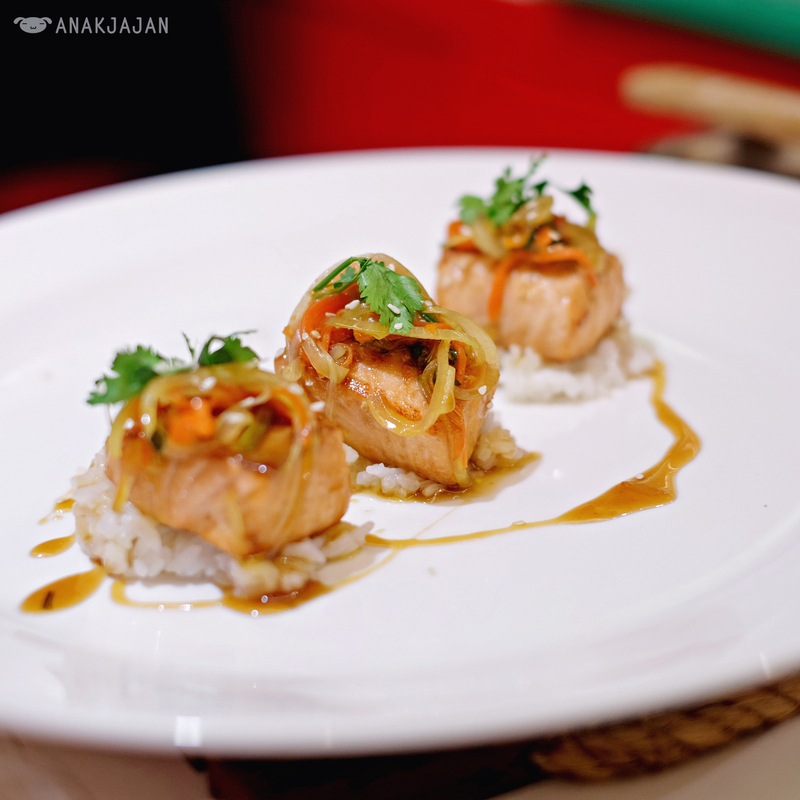 Both dishes were really easy and require less than 30 minutes to cook and certainly tasted very delicious. You should all try out these recipes! 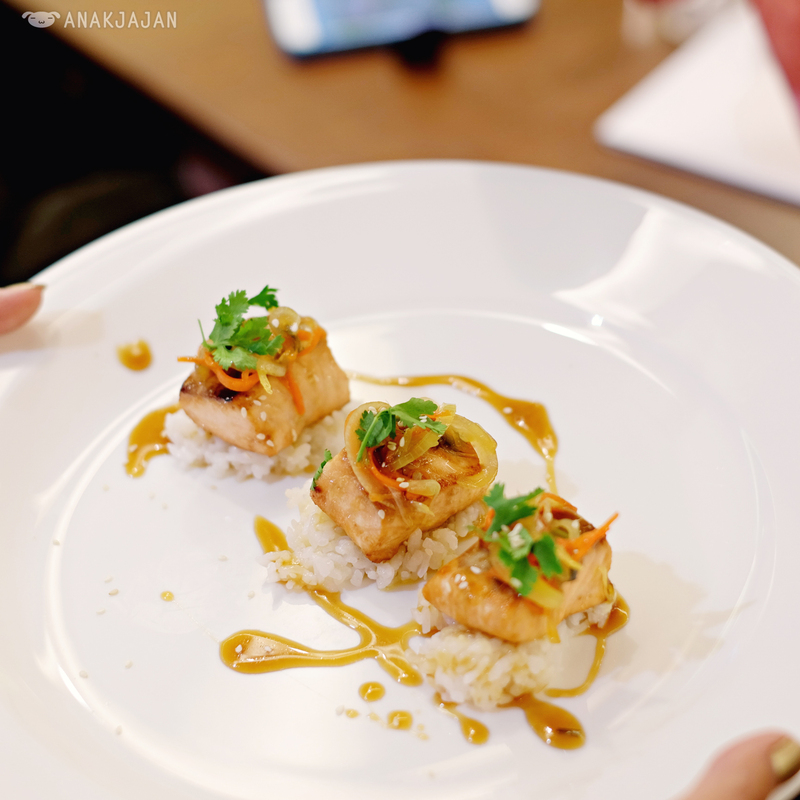 For the first dish, Light Soya Salmon Glazed, we used some condiments from the shelf, including Tiger’s non-GMO, naturally processed dark rice vinegar, and Chee Seng’s Sesame Oil made from top grade sesame seeds, to add a hint of fragrance and zest. The combination was zingy and turned a normal salmon dish into something quite special. You should try this at home! 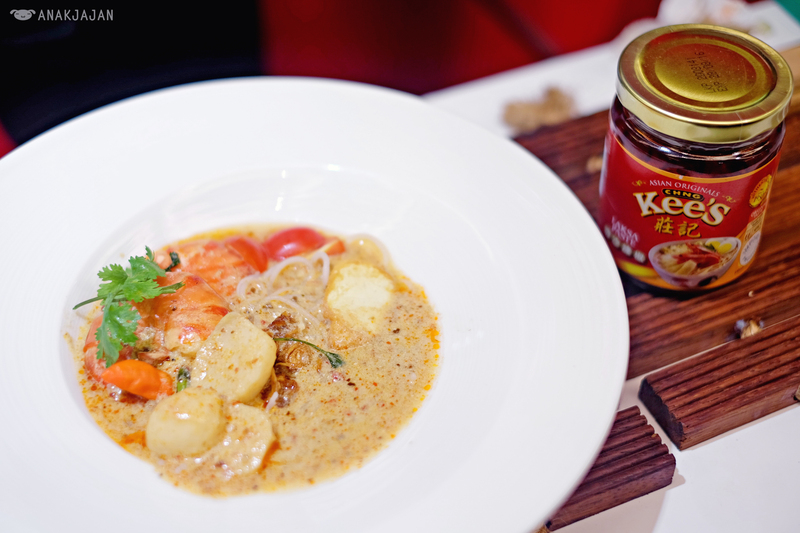 Next up, we cooked the Laksa Udang with Chng Kee’s Laksa Paste. 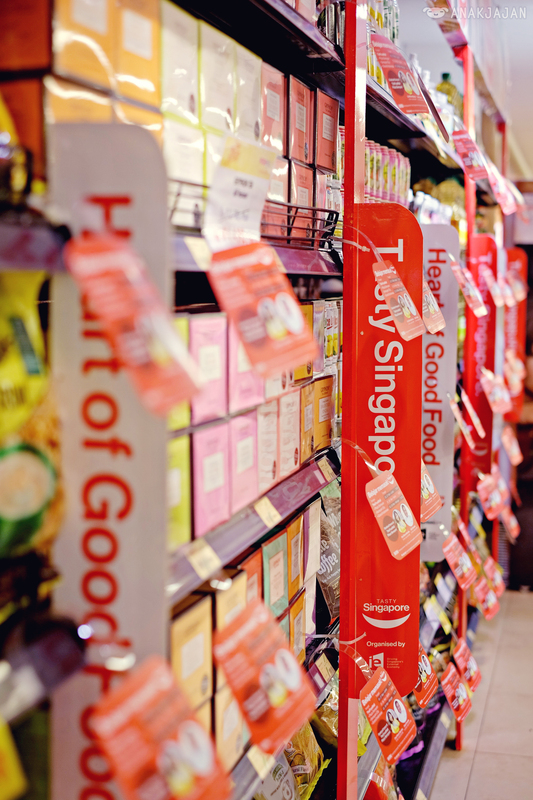 Laksa is a uniquely Singapore dish, it contains many condiments and herbs and is spicy, savoury and tinged with freshness of the coconut milk all at once. Yummy! The best thing about this? 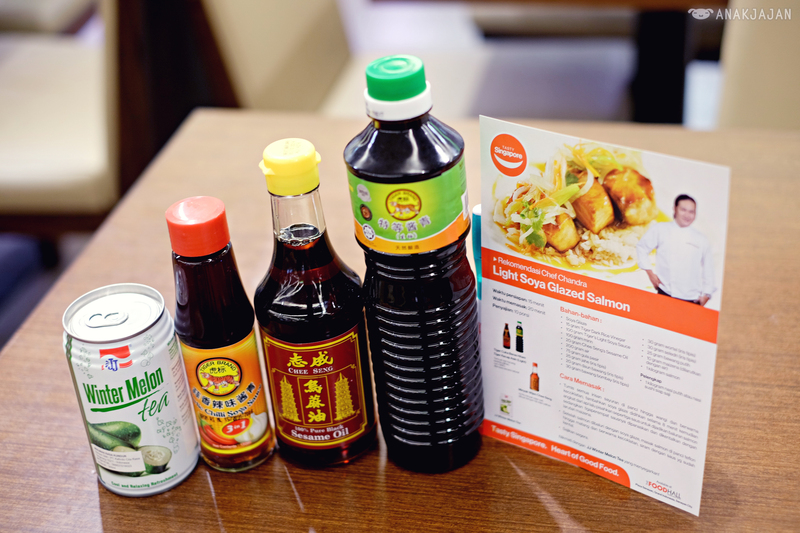 Everything you need to cook Laksa is in that one bottle of Chng Kee Laksa Paste! 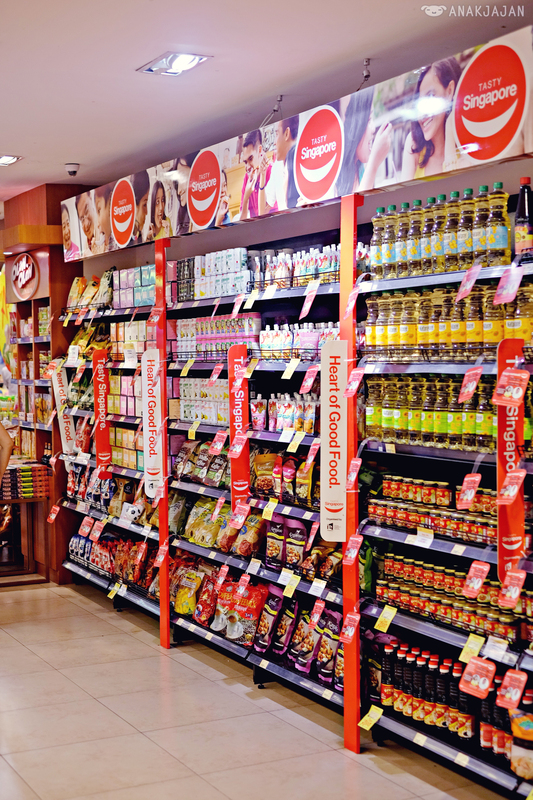 Made from natural ingredients and herbs, without added MSG, you can be assured of good taste without compromising on health. Also, Chef Chandra paired it perfectly with the Peacock Rice Spaghetti, which lends it a springy chewy texture to the dish. 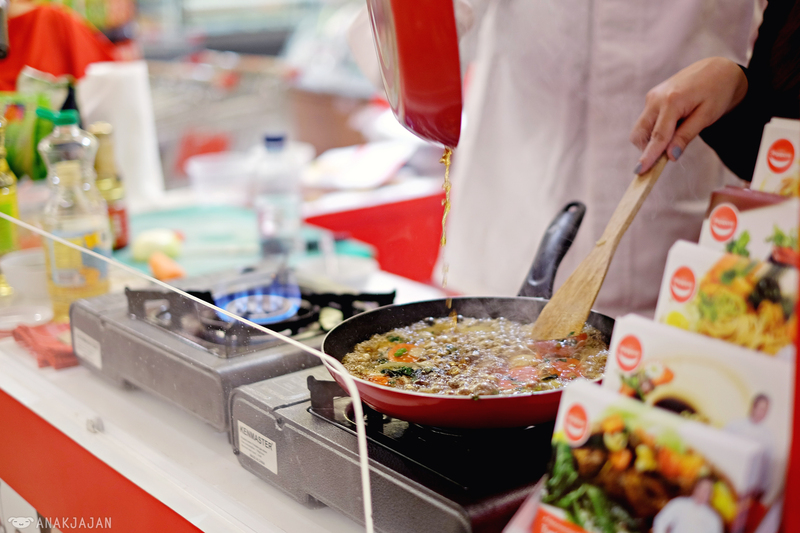 The best thing about this Spaghetti, it is gluten-free as it is made of rice. This is especially good if you or your loved ones are sensitive to gluten products, try this gluten-free Rice Spaghetti. 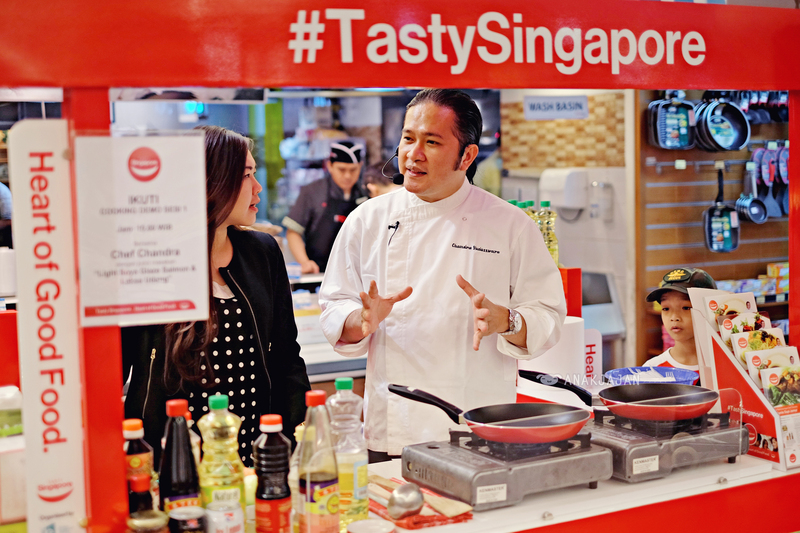 So, in the short 1 hour, I learnt to cook 2 awesome dishes using Tasty Singapore products. I’m really excited and want to share the recipes with you. 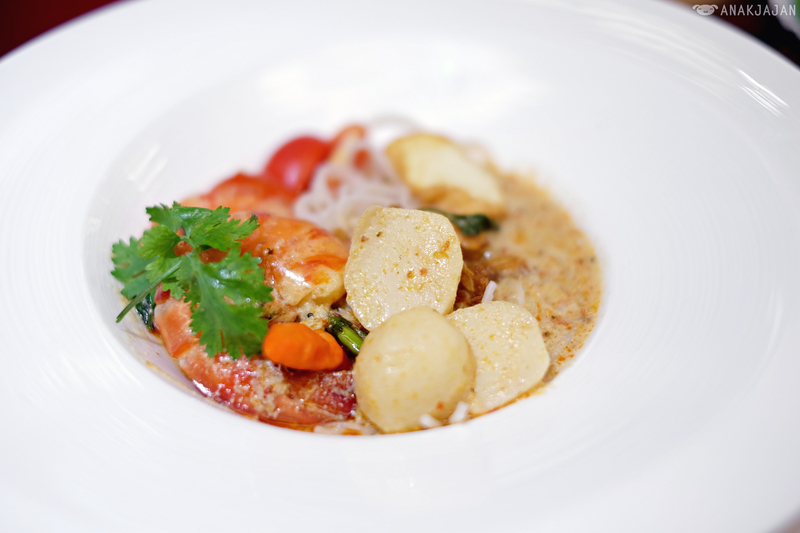 Download all the 10 recipes created by Chef Rinrin Marinka and Chef Chandra herehttp://bit.ly/SGFoodAisle, super cannot wait to try it at home very soon!! 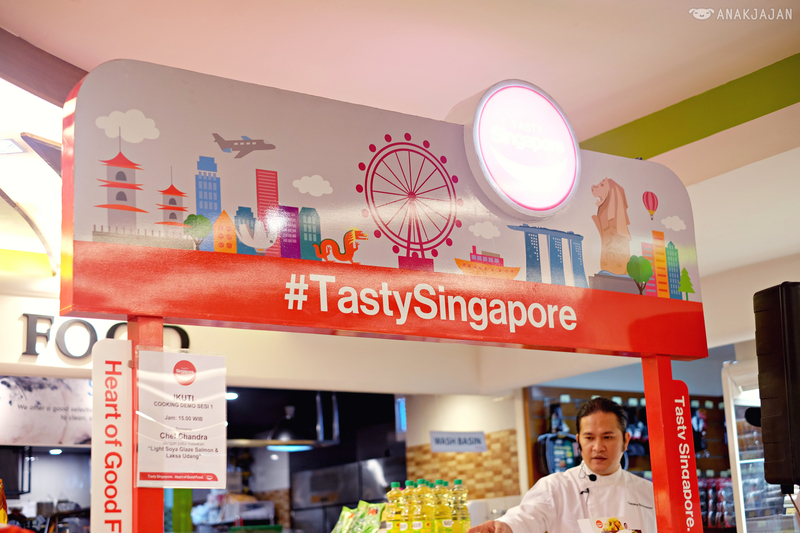 Let’s cook and share your #TastySingapore creation on Instagram, Facebook or Twitter! 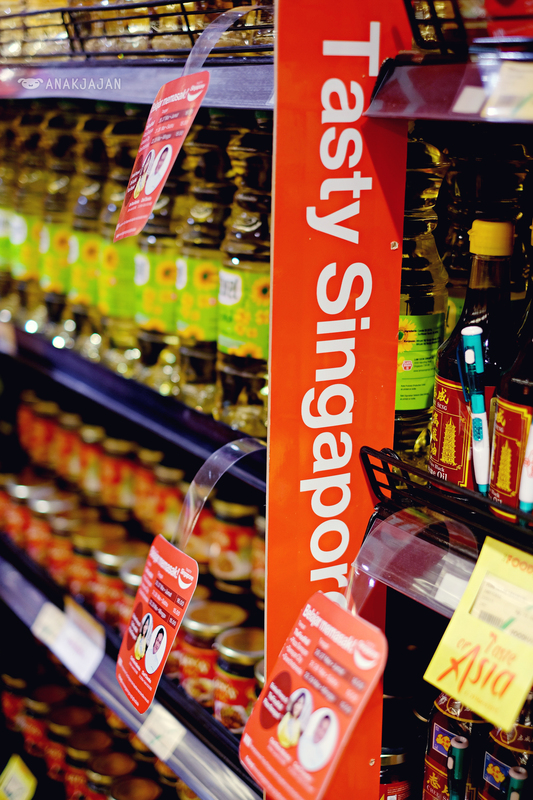 Let me know which Tasty Singapore products you are using!! 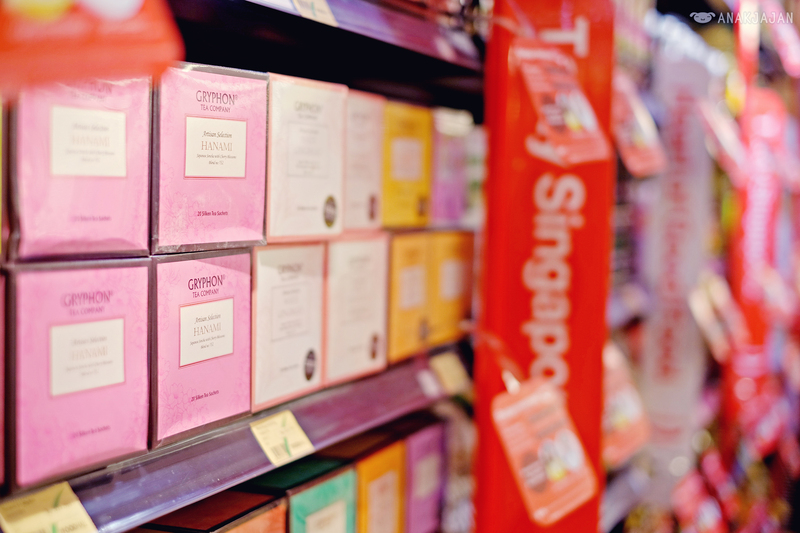 I was very happy also to find my favorite tea brand Gryphon at Tasty Singapore Food Aisle, if you are a tea lovers, this one is a must must have!! 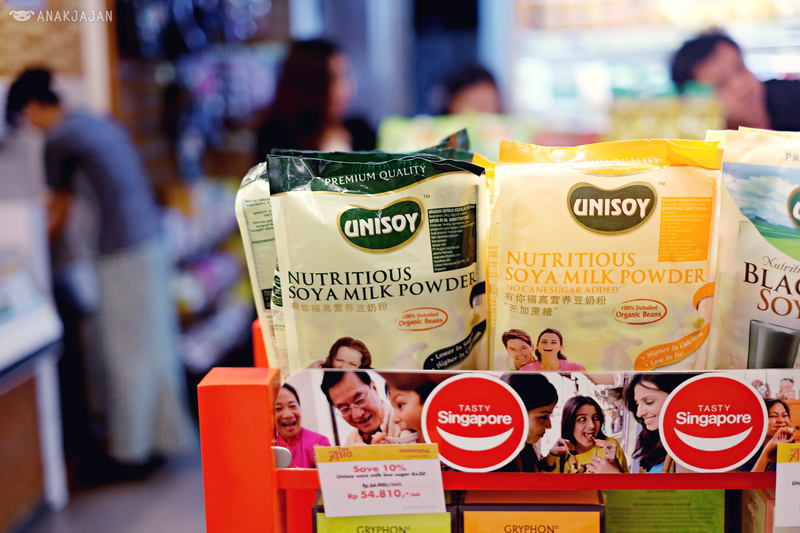 They have some new flavours like the Nymph of the Nile, White Ginger lily and Pearl of the Orient. 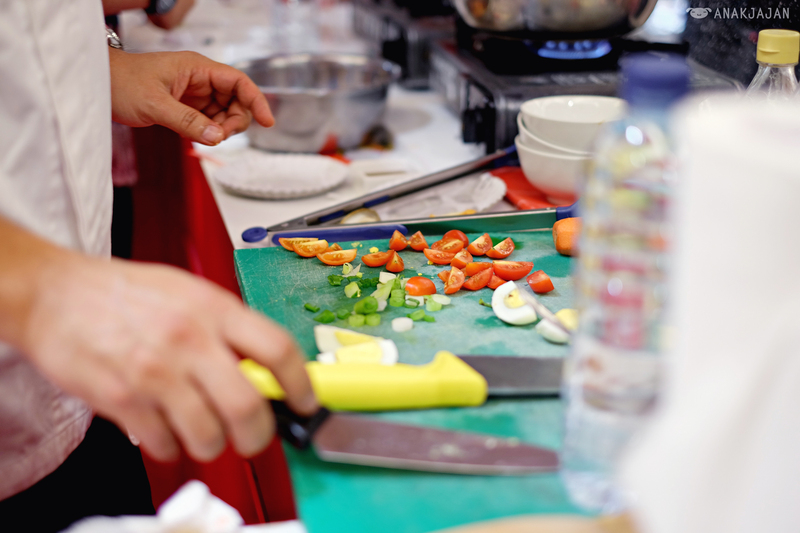 I’m also looking forward to have some cooking seasoning too since I will be practicing the recipes I learnt from Chef Chandra. 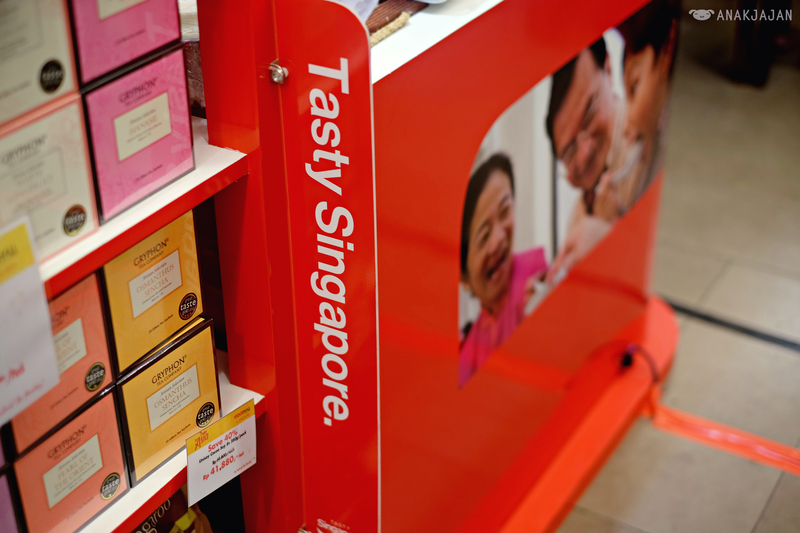 Fyi, now you can get Tasty Singapore food products easily because it’s available at FoodHall Plaza Senayan, Senayan City and Grand Indonesia all year long! Go grab some today!